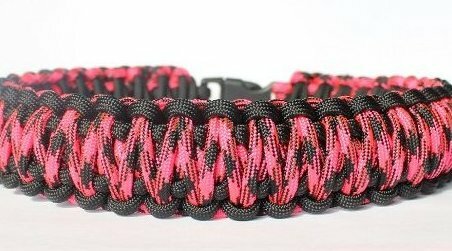 Over 30' of Military Spec 550 Paracord. American made!!. Durable side release buckle. 1" leash ring. Double wrapped, extra wide!.